Andrew B. Serwin is an internationally recognized thought leader in privacy and cybersecurity issues. He is a partner in the Global Privacy and Data Security Practice Group at Morrison & Foerster LLP's San Diego and Washington, DC, offices, a member of the advisory team of the Naval Postgraduate School's Center for Asymmetric Warfare, and the executive director and CEO of the Lares Institute, a think tank focused on information governance issues, where he conducts cutting-edge research regarding privacy and cybersecurity. Serwin was named to Security Magazine's 25 Most Influential Industry Thought Leaders in 2009, and was ranked second in the 2010 Computerworld survey of top global privacy advisors. 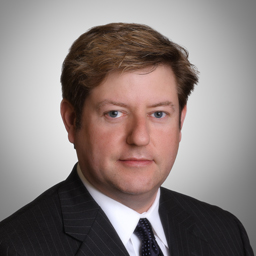 He is recognized by Chambers USA as one of the top privacy and data security attorneys nationwide (2009-2013). Chambers USA 2013 notes that Serwin attracts praise for his consultative and strategic approach to complex matters. He was described by clients as a tireless worker, holding onto the ever-shifting puzzle pieces of the law in this area in a way that other privacy lawyers cannot, and noted as an excellent privacy lawyer, a real expert in the field, by Chambers Global 2012. Serwin has written a number of books, including the leading treatise on security and privacy, Information Security and Privacy: A Guide to Federal and State Law and Compliance, and Information Security and Privacy: A Guide to International Law and Compliance, (West 2005-2013), which collectively are a 4,500 page, three-volume treatise that examines all aspects of privacy and security laws, published by Thomson-Reuters. The treatise has been called "the best privacy sourcebook," "an indispensable resource for privacy professionals at all levels," and "a book that everybody in the information privacy field should have on their desk." He has also written a number of other books and law review articles, and he routinely speaks about privacy, security and information governance issues. The Intelligence Community: Who is who and what do they do?